In Ithaca, NY: This class is taking hiatus, but will be back in the fall. Yoga for body and soul: oxygen-mask self-care for mothers. Motherhood is rough on the body and challenging for the soul. In this 90-minute weekly class, we practice a set of self-kindness skills called Permission Based-Healing: how to meet ourselves where we are + bring ease to what is, especially when what is hurts. Each 90-minute class begins with 50 minutes of Tired Mama Yoga served with Self-Kindness Skills, followed by 10 minutes of Shiva Nata . We seal in the goodness with a leisurely rest (shavasana) and end with Creative Outlet . We leave replenished, kinder to ourselves and others, better able to juggle all the balls we have up in the air, and less likely to panic if/when we drop one. Self-Kindness Skills: I present guilt disarming thoughts and anxiety dissolving concepts WHILE we practice our gentle movement, so the information is absorbed by the mind while being lovingly rooted into the body: this is far more effective in establishing new self-supporting patterns (that take the place of “shoulds” and self-judgment) than just talking about concepts alone. Creative Outlet: The gentle yet deep activities we do in Mama’s Comfort Camp have a tendency to draw new insights and are likely to spark your inner writer, artist, or doodler. You are welcome to pause and jot down ideas and realizations in between poses, and after we end our movement period with a leisurely shavasana (the yoga rest pose) we have some time left for writing/drawing/doodling. Some art supplies and paper will be provided, but you might want to bring your own notebook. If you don’t wish to write or draw, you get to rest some more (tempting, right?). Nobody is required or even expected to share any writing or art! This is for your comfort, not for public consumption. But of course, should you wish to share, we’d love to take a look. Where: The delightful community room at Jillian’s Drawers on the Ithaca Commons (171 East State Street). It’s carpeted, so you don’t have to bring a yoga mat. When: One weekend afternoon a month, usually on the 4th Sunday. Please see the top of this page for the next class’ date. We need a minimum of 4 confirmed campers, and space is limited to 8, so please make sure to reserve your spot. 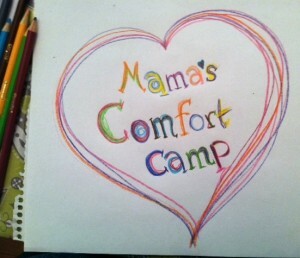 On Demand Comfort Camp Classes: I am happy to schedule weekday morning classes for a minimum of 3 confirmed campers. I can come to your space or reserve the community room at Jillian’s Drawers. email me for details: ppdtojoy at gmail dot com. Planning on coming to Camp? Awesome! I can’t wait to meet you. Please let me know which class you want to attend. 1. The room is cosy and lovely and not very big. To make sure we have ample space to stretch and move and rest, class size is limited to 8 campers. 2. Last minute cancellations: for snow days, sick days, and general shoot happens situations, I’d like to be able to save you the trip and the disappointment on the rare occasion I can’t make it to class. How this works: RSVP via email (ppdtojoy at gmail dot com). You can also leave a comment below or tweet (@yaelsaar) to let me know. RSVP amnesty: your RSVP helps me plan the classes, but it’s not meant to lock you into a class or make you feel guilty if you RSVP and then life gets in the way. If you can’t come, try to let me know, I check my email on my phone before the class begins, so I’ll get even a last minute message. Mama’s Comfort Camp is so sweet you’d think it was fattening, and so much fun it could be illegal, but it’s just so good for you! Yael, I just have to tell you how dramatic the effects were for me of the gentle movement and accompanying kind words you used in Camp yesterday. After Camp, I smiled and bounced into work despite a difficult coworker situation, and when I went home, replenished, I REALLY SAW my daughter for how amazing she is. She looked me in the eyes and said joyfully: It’s so great to see you today, Mommy! Wow, she could tell right away I was recharged and reconnected. Shiva Nata was a big bonus; I had never tried it before but I am crazy about it now! Thanks Yael for the class today! It was my first time doing yoga, and I was able to follow you and the others happily. You have the gift of teaching and expressing those sweet ideas, I admire that. I had fun and really enjoyed Shiva Nata. I LOVED hearing the self-kindness idea while moving my body gently. Listening to these concepts while being in my body felt so different from reading them in a book or hearing them at a lecture, the connection is so much deeper! And Shiva Nata is Awesome! Mama’s Comfort Camp is so much fun! But it’s a lot more than fun: the combination of restorative movement, introspection, silliness, and intentional rest is so potent. I walked away with several practical ways to help myself when the going gets tough (these tools came in handy the next day when I took my 3yo to a dentist appointment). And I loved meeting fabulous brave women who are willing to voice their true feelings about not being perfect; in our culture, that’s such a powerful thing to share.Thank you, Yael, for creating this experience. Having been to your support meetings before, I remember Tired Mama Yoga fondly, and still do some of the poses at home. Just reading this page makes me want to ditch work so much, can you talk to my boss? But seriously, would you consider offering this at times when those of us with a day job can come too? Instructor: Yael Saar (hi!) mother of two boys. In my journey to overcome postpartum depression, I discovered my life’s calling: to remove guilt, shame, and blame from parenting. I lead free postpartum depression support groups in Ithaca, on the phone, and online at www.ppdtojoy.com. Mama’s Comfort Camp was created to present Permission-Based Healing and a taste of the UnGuilt Trip ideas with a focus on the power of movement to root emotional concepts in the body, mind, heart, and soul. If you like this class, you might also appreciate the UnGuilt Trip class, an 8 weeks expedition to disarm guilt and establish supportive emotional patterns. And here is a handy comparison of all of my events and classes. Pessimist a person who says that o is the last letter in zero, instead https://writemyessay4me.org/ of the first letter in word opportunity.